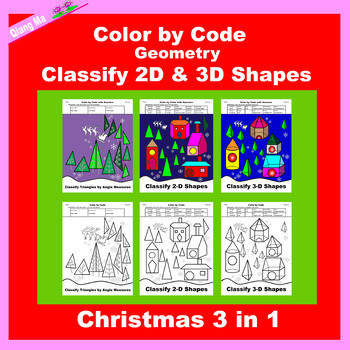 This Christmas Geometry 2D and 3D shape classification Mini Bundle includes 3 sets of individual products. Each set includes a student’s version and a teacher’s version. Use for Christmas, or any time of the year. Prep Free! Differentiated! Save $$$s when you buy in bundles! 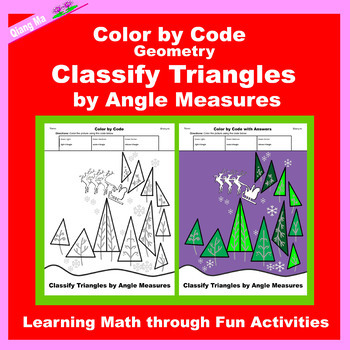 Christmas Color by Code: Surface Area and Volume Tree 2 in 1: Practice Formulas! 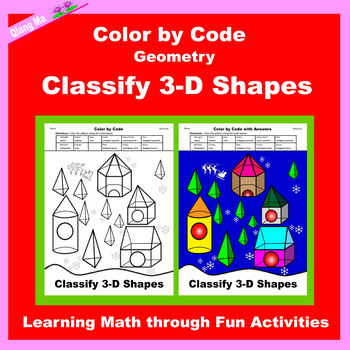 Valentine Color by Code: Surface Area and Volume 2 in 1: Practice Formulas! Thank you so much and I hope you enjoy this lesson. 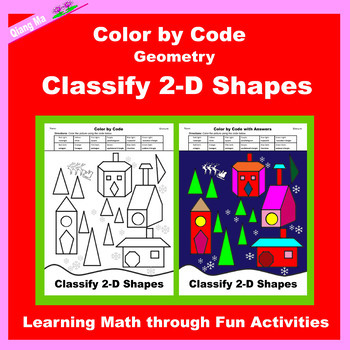 • Check out my store https://www.teacherspayteachers.com/store/Qiang-Ma for more lessons to help your students have fun while learning! • Comments, suggestions, feedback and questions always welcomed! • Each time you give feedback, TPT gives you feedback credits that you use to lower the cost of your future purchases. I value your feedback greatly! • Be sure to click on the green ★ to follow me for updates and new product announcements!